This is a well-written account of the man we all know as Lawrence of Arabia – but from a special point of view. 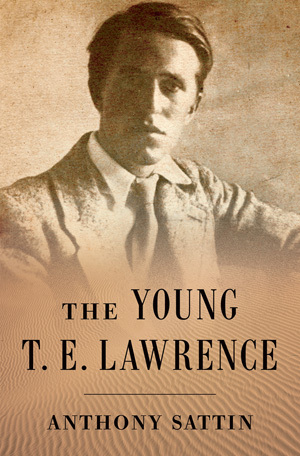 The London award-winning journalist, Anthony Sattin, looks at Lawrence’s early life and what drove him to the Arab world. He grew up in a household in Oxford, with four brothers and a dominating mother. He was a shy, introverted boy but loved all aspects of archaeology and was fascinated by the medieval world and loved the monuments of crusading knights. He worked with glass and pottery which he dug up from the streets of Oxford. He set out on a walking tour – by himself – through Syria, checking Crusader castles. In l909 he won a scholarship to study Crusader architecture in the Levant. When war came in l9l4 he wanted to raise Arab fighters and free Arab lands from Ottoman control. He wanted to see a Commonwealth of free peoples, an Arab Dominion initially under British sovereignty but ultimately independent. Lawrence wrote his classic autobiography Seven Pillars of Wisdom and we learn of his disappointment when things didn’t turn out as he had hoped. This book is especially relevant today, given the state of affairs in the Near and Middle East. John Ralston Saul has included Canada’s First Nations in many of his books and articles on this country. 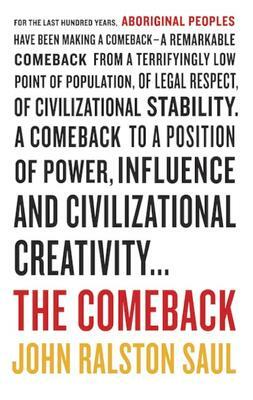 In this book he looks at the comeback of these people in numbers and influence. At the beginning of the 20th century, the population of the First Nations and Metis people had shrunk from as many as 2 million people (when the Europeans arrived) to approximately 150,000. In spite of endless Treaties, they had lost much of the land they had used for food sources, had picked up many European diseases, and altogether lost much of their way of life. The Canadian government had made bad mistakes, in setting up residential schools to try to break down the families, in forbidding the potlatch (a beloved and religious ceremony) , and in taking away their right to vote. The population today is back to 2 million. This book shows how the Idle No More movement illustrates a difference in Canadian relationships. Both sides realize citizens’ rights must be recognized. Saul includes many letters and speeches from First Nations chiefs and the effect these have had on improving relations. The last one is from a chief in Manitoba, now a professor at the University of Manitoba. He says he is a man who quit drinking when his grandson was born, to give this little boy the greatest gift he could give – love. He says all of us in Canada can do more, if we listen to each other and give each other gifts of responsibility. Saul is one of Canada’s leading public intellectuals. He is president of PEN International, and has published fourteen works, translated into twenty-five languages. Caroline Shepard will be here on Saturday, January 31 from 12:00 to 2:00pm to sign copies of her book Unlit Spaces. and inhibited by the hidden childhood trauma that resurfaces with ever increasing urgency. It is ultimately through her art, and in the company of those closest to her, that Cailey at last allows this paralyzing event to emerge from the shadows. Caroline Shepard grew up in Manitoba. She has lived in Ontario and Quebec, with periods of work, study, and travel in Britain, Europe, Botswana, and East Africa. 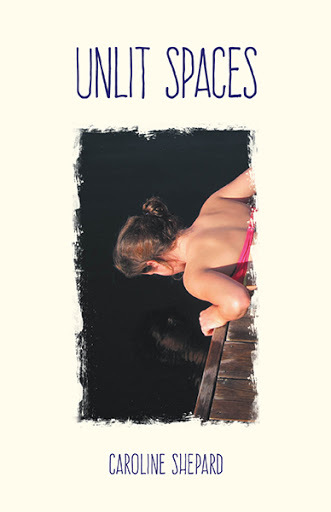 Unlit Spaces (Friesen Press 2014) is her first novel. An early manuscript of Unlit Spaces was long-listed for the Chapters Robertson Davies First Novel Award. Off Centre (Oberon Press 2004), her debut collection of short fiction, reflects her international experience and was short listed for the 2005 Danuta Gleed Award. At home in Ottawa, she is at work on a second novel. Perry Prete. 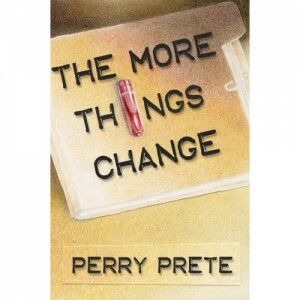 He will be here from 1:00 to 3:00pm signing copies of his new mystery novel, The More Things Change. There will also be copies of his previous mystery, All Good Things, available to sign and purchase. Both mysteries are set in Ottawa and feature Ethan Tennant, an Ottawa Paramedic, who leads the reader through fascinating and mysterious events on the streets of Canada’s Capital. We look forward to seeing you at this great event! Books on Beechwood is having its inventory sale from January 9th to January 18th. Every thing in the store is reduced by at least 20%. The sale applies to in-stock items only. A great opportunity to stock up for those cold winter days still to come! Please note that the store will be closed on Monday January 19th for our annual inventory. This is a companion novel to Rachel Joyce’s earlier book The Unlikely Pilgrimage of Harold Fry. In that novel Queenie Hennessy had sent a letter to Harold Fry, a former colleague, telling him she was dying and would like to see him. Somewhat to her surprise he replied that he would walk from his home in Kingsbridge, South Devon, to her hospice in the north of England at Berwick-on-Tweed. He stressed that she should wait for him. 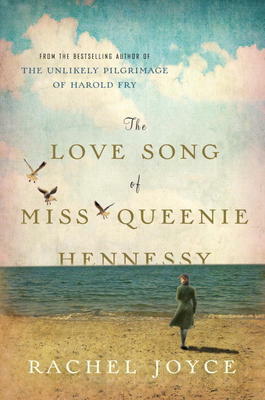 This book, The Love Song of Miss Queenie Hennessy, is Queenie waiting for Harold. While she waits, Queenie tells the reader her own story: her bad marriage, the loss of a child, and her job in the same brewery as Harold Fry. Although Harold was married and had a son when she knew him, Queenie still fell in love with him but kept it a secret and eventually left her job at the brewery to make a new life in the north of England. In this book she undertakes to tell Harold the truth before he gets to her bedside. It is a touching and harrowing tale, but just as moving as the story of Harold’s own pilgrimage. Rachel Joyce has won awards for her books as well as original plays and classic adaptations for BBC Radio 4. She lives with her family in Gloucestershire, England. This Alice Munro short story collection is a gift at any time. 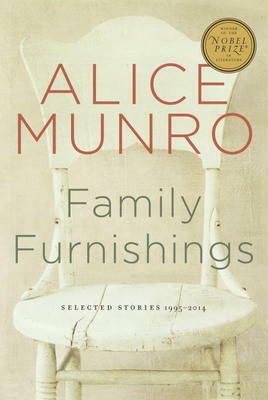 Family Furnishings contains twenty-four of Munro’s short stories, gathered from the last two decades, and is a companion volume to Selected Stories (l968-l994). It has some famous stories, such as The Bear came over the Mountain, whose last sentence is worth the whole book, and which was made into the major feature film Away from Her. Munro often writes about the people she knew in her Southwestern Ontario hometown, but her books cover the fullness of human experience and so we travel with her over the whole world. One of these stories, Too Much Happiness, gives the life of the noted nineteenth-century mathematician, Sophia Kovalevsky, where romantic love enters the picture in an unexpected way to show just who is in control. Alice Munro won the Nobel Prize in Literature in 20l3. She had been one of Canada’s favorite writers for decades before this, winning many awards including two Giller Prizes, three Governor General Awards, the National Book Critics Circle Award and the Man Booker International Prize. Her collections have been published around the world in many languages. Canada can certainly be proud of her latest achievement. But mostly we have always loved her writing for the way she shows our own country. This collection is one of the best.